Travelling across the galaxy, the rebel colonies of Hebos and Ares join forces to battle against the Zatros empire with the deadliest weapons ever built – War Techs. Taking space combat to a whole new level, War Techs are giant mechs that combine cold precision and state of the art technology in the battlefields of space. War Tech Fighters is a space action game that combines the spectacular action of Japanese Anime with Hollywood Blockbusters. Configure, upgrade and customize your War Tech and dive into battle to fight back the Zatronian forces and save your galaxy! War Tech Fighters was released on PC 272d ago in the US and the UK. 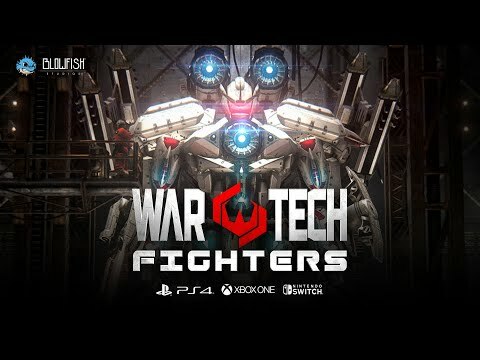 The upcoming War Tech Fighters PS4, Switch and Xbox One release date is Q2 2019 in the US and the UK. Notify me when War Tech Fighters is available.